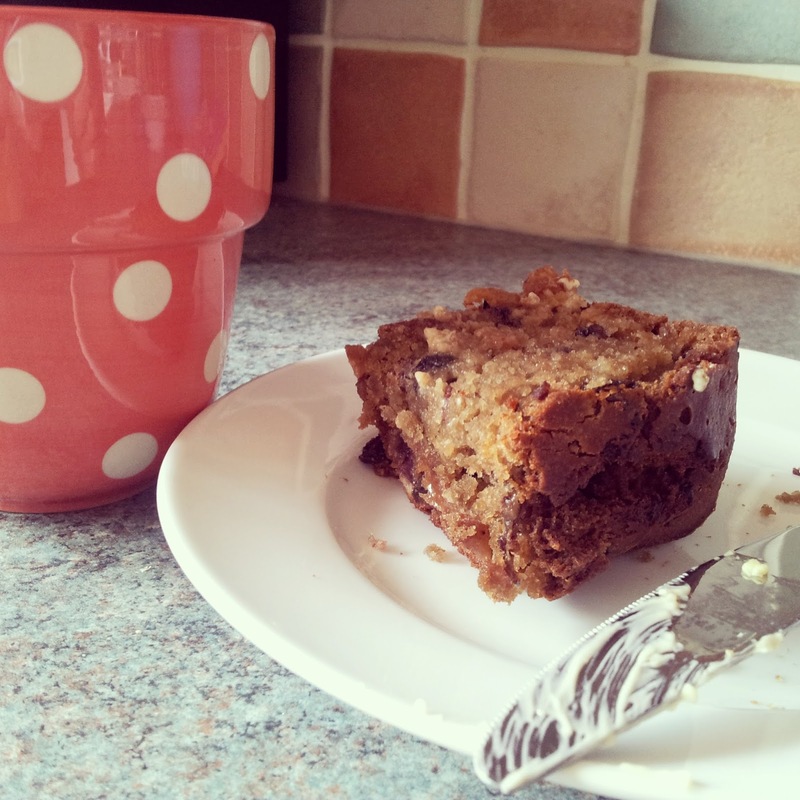 No sugar, no salt, just yummy tea bread! 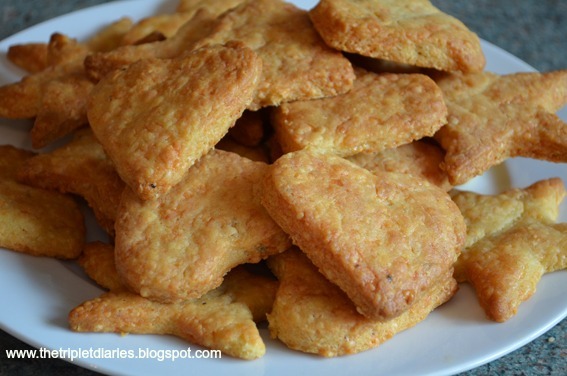 I LOVE this recipe, it is an adapted recipe from the one in my bread machine book. It is a lovely alternative to sandwiches and because there is no sugar or salt in it, this cake is also perfect for your toddler to enjoy. Heat oven to 200 degrees. Place all fruit, strong tea and butter together in a microwave safe mixing bowl. Heat the mixture for 3 minutes in the microwave until the butter has melted. You can also do this over the hob. 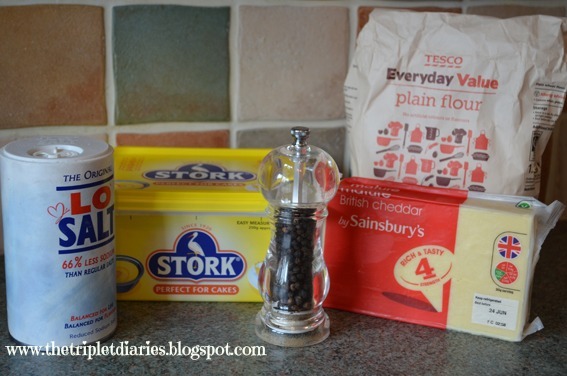 Allow to cool slightly, add the eggs, flour and the bicarbonate of soda. Mix well. If using a metal loaf tin (as opposed to a silicone one), line with baking paper. Place in the oven for approx. 30 minutes. Use the skewer test to check that it is cooked in the middle. Allow to cool. Spread with butter, serve with a cuppa and enjoy! This dish is so very simple, quick and also cost effective. I am not a huge fish fan – I like cod (wrapped in a batter blanket) tuna, salmon and prawns, but that’s about as adventurous as I get. Unfortunately, my lack of enthusiasm for fish seems to have rubbed off on the boys so instead of giving them their much loved fish fingers every week I like to offer them this little number, which they happily scoff because the fish is hidden! I like to steam the sweet potato and peas and I will sometimes steam the fish or poach it in milk which I then turn into a sauce to go with the dish. I mix the fish with the sweet potato (their favourite) and I can guarantee that they will scoff the lot. Richmond were kind enough to send me some vouchers to purchase and review some of their new mini meatballs. I am always a fan of time saving when it comes to making dinners without compromising on quality and these mini meatballs really hit the spot. 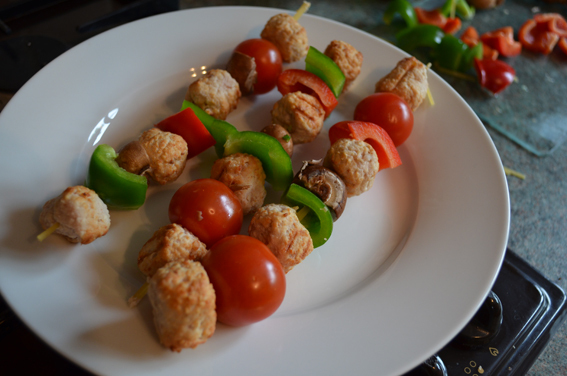 I was hoping to make some sort of hungry caterpillar type kebab for the boys in the first instance but figured that sharp wooden tools and toddlers probably wasn’t the best idea so instead of the wooden skewers I decided to use spaghetti instead. 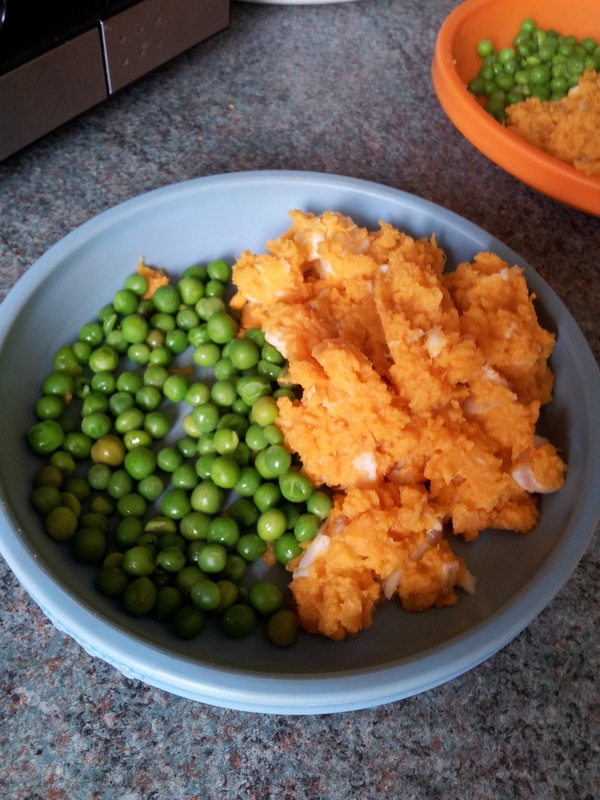 The great thing about this recipe is that it is very adaptable, you can use up whatever veg you have left over in the fridge or whatever your child has a preference for. 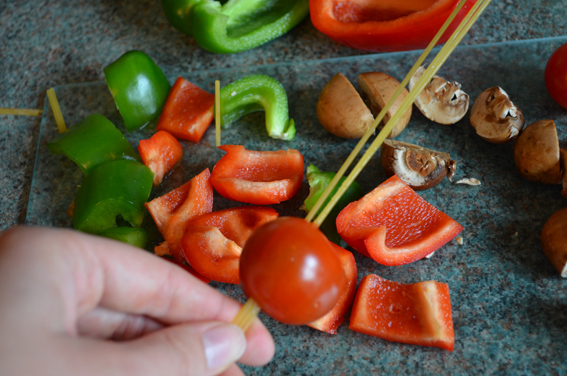 If your child is older you can also use wooden skewers instead of spaghetti. Pasta of your choice (I used fusilli). 1) Preheat oven to 180 degrees. 2) Chop your veg into kebab size chunks. 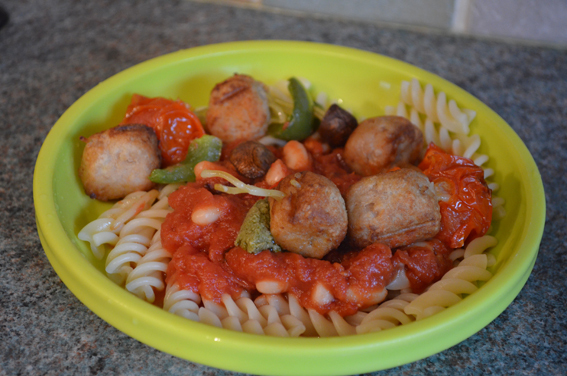 3) Take 2 pieces of spaghetti and begin carefully threading the veg and meatballs along it in your order of preference. Be sure to leave a little spaghetti showing at one end as these will be the caterpillar’s ‘feelers’. Once complete place the caterpillars into an oven proof saucepan (I placed mine straight onto a plate to take a picture and then had to transfer them. Not easy!). NB: If you have trouble threading the ingredients then try piercing them first with a shorter piece of spaghetti and use the hole that you have created as a pilot hole when threading onto the longer piece of spaghetti. see below. In hindsight I should have just put these straight into the pan so I didn’t have to keep transferring them! 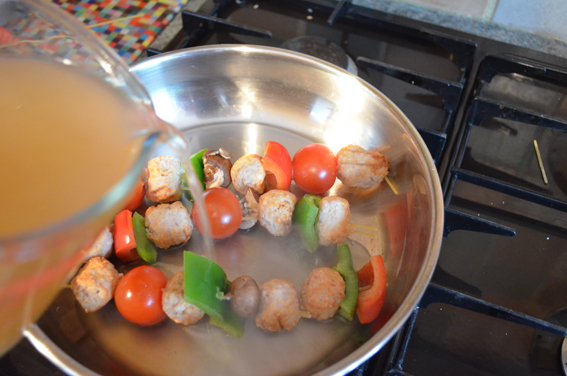 5) Pour the stock away into a separate saucepan (this will be used to cook the remaining pasta later). 6) Drizzle over the olive oil and throw any left over veg/meatballs into the pan too. 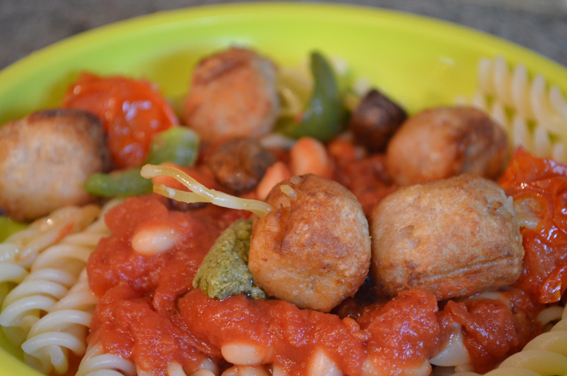 I cooked my whole pack of meatballs, but of course you can always save yours for another yummy recipe. 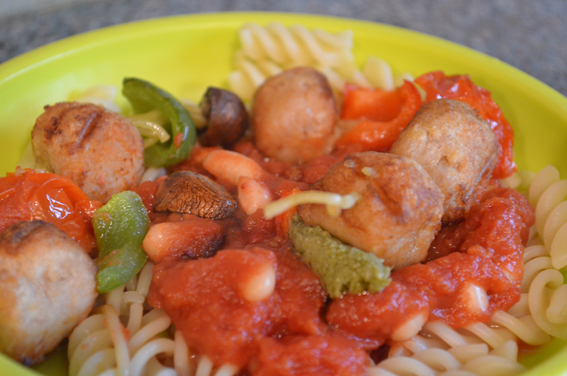 Place the pan in the oven for approx 20 mins or until the meatballs are golden and the veg is nice and soft. 7) While the meatballs are cooking. Cook your choice of pasta in the left over chicken stock and heat your tin of chopped tomatoes in a pan. Once the tomatoes are simmering, add a teaspoon of mixed herbs and allow to cook for 20 mins or until reduced. 8) Dish up your pasta, with a dollop of the tomato sauce in the middle. Add a little teaspoon of pesto (optional leaf for the caterpillar to munch on). 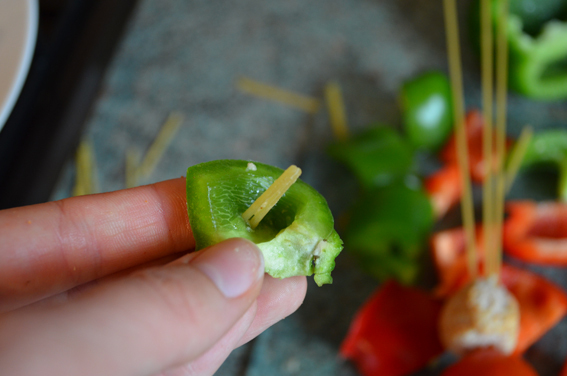 Carefully place your caterpillar on top of the cooked pasta and sauce so that it’s head is placed on the pesto. 9) There you have it! A hungry caterpillar munching on a leaf! Check out his little feelers! 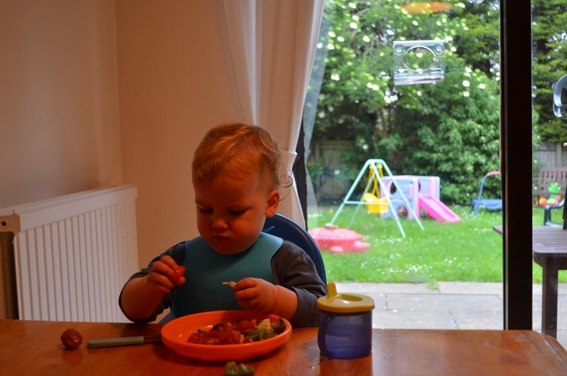 My boys agreed that it was very yummy indeed! We then carried on the theme and went on to read a book about caterpillars and butterflies for their bedtime story. I love a savoury twist on a typically sweet recipe so when I found this recipe in the Abel & Cole cook book, I had to try it! 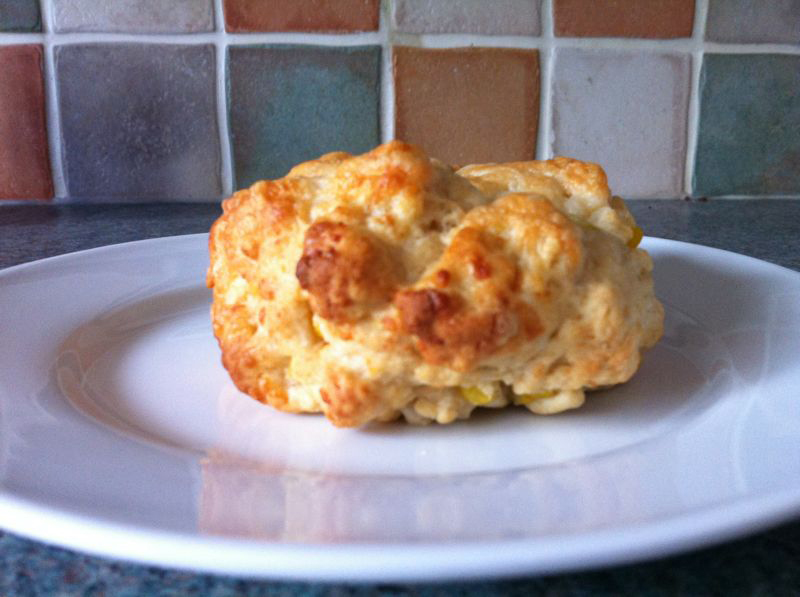 I have adapted it slightly to use frozen/tinned sweet corn instead of fresh cobs. 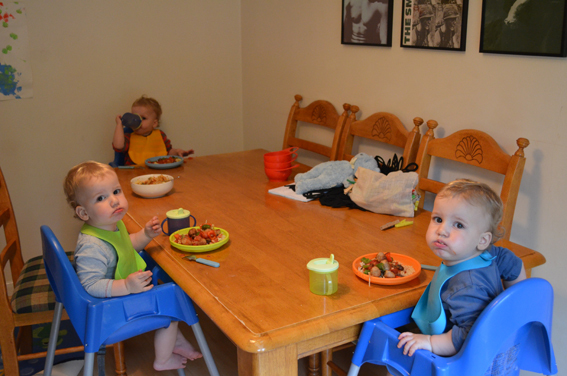 Lucas and Harry helping while Oscar just waits to eat! Simmer the sweet corn for 5 mins. Drain. Heat oven to 200 degrees. Mix flour, baking powder, chilli and salt. Rub the butter cubes into the mix until you have fine crumbs. Add grated cheddar and corn. Slowly add the milk and gently fold to make a sticky dough. Knead on a floured surface until just smooth. Divide into about 10 balls. Place onto a well oiled baking sheet and brush with milk. Scatter grated cheese over the top. Bake for 10-15 mins or until the scones have risen, are golden and should sound hollow when tapped on the bottom. 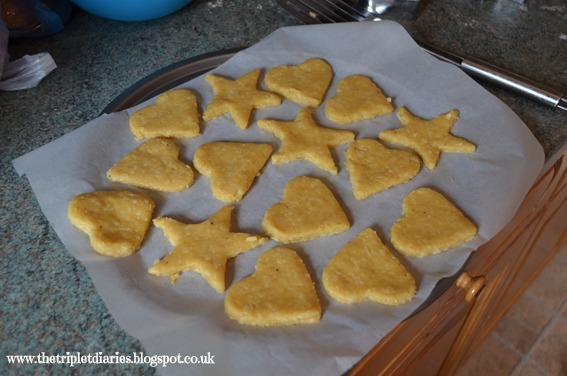 I make these in batches because they are perfect for freezing, but if you want to make fewer biscuits just halve the ingredients. Stick all the ingredients in a bowl and mix it up into a dough (any order is fine). If the mixture isn’t quite sticking together just add a little water. 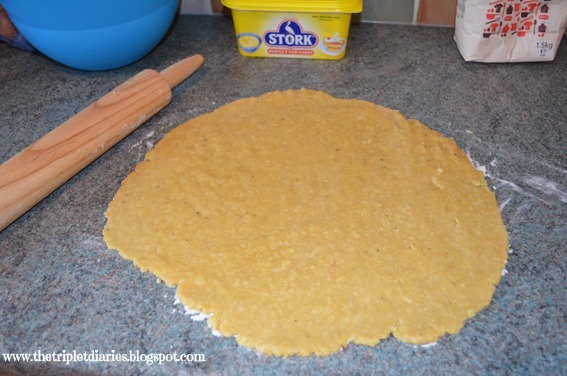 Place the dough onto a floured surface and roll out with a rolling pin until it is about 0.5cm thick. 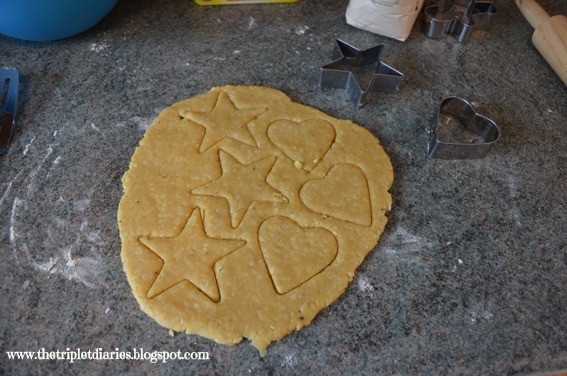 Using a cookie cutter cut shapes out of the dough. And pop onto a baking tray. If they are a little sticky just use a spatula to ease them off the work surface. Place in the oven for approx 10 minutes or until golden. Allow to cool and then scoff. Much cheaper and healthier than buying snacks from the supermarket! If your children are old enough get them involved to. 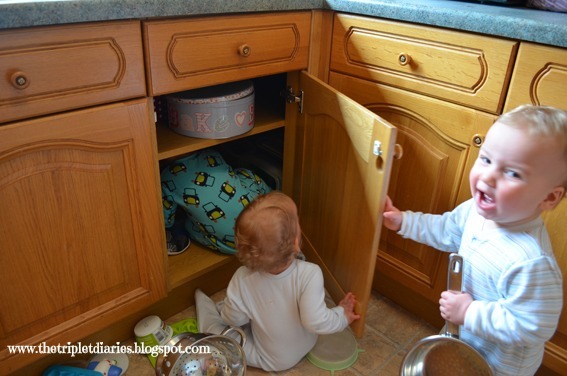 If they are a bit young then give them a cupboard in the kitchen which is just for them and let them do this while you prep…. 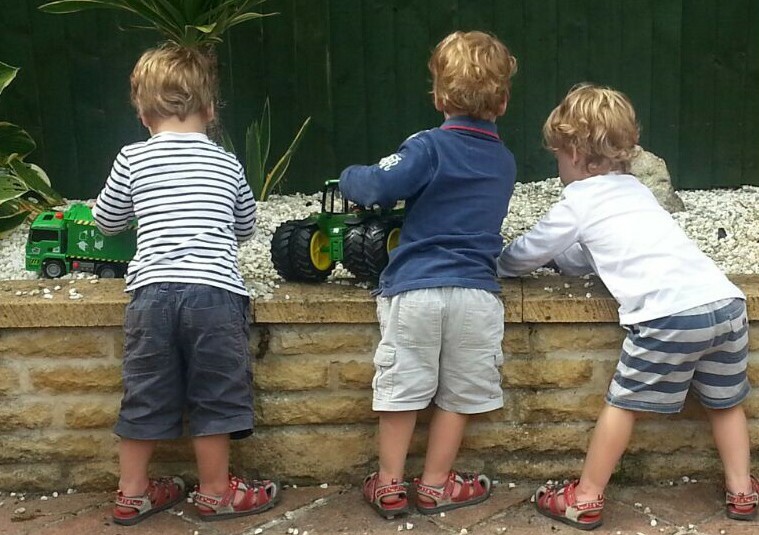 I used to spoon feed my boys porridge in the morning until they were about 8 months old. 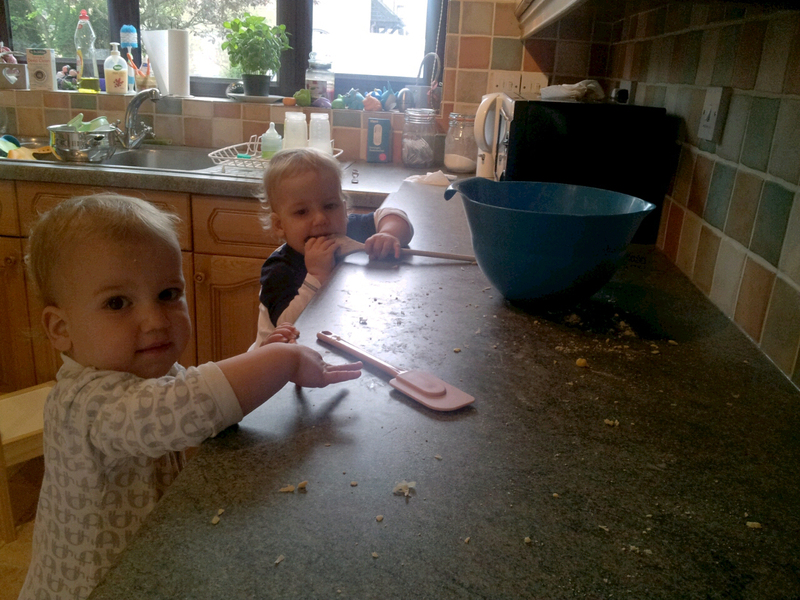 They then decided that they had had enough of me helping them and they wanted to do it themselves….so what do you give a baby for breakfast when they aren’t old enough to use a spoon themselves and won’t be spoon fed? 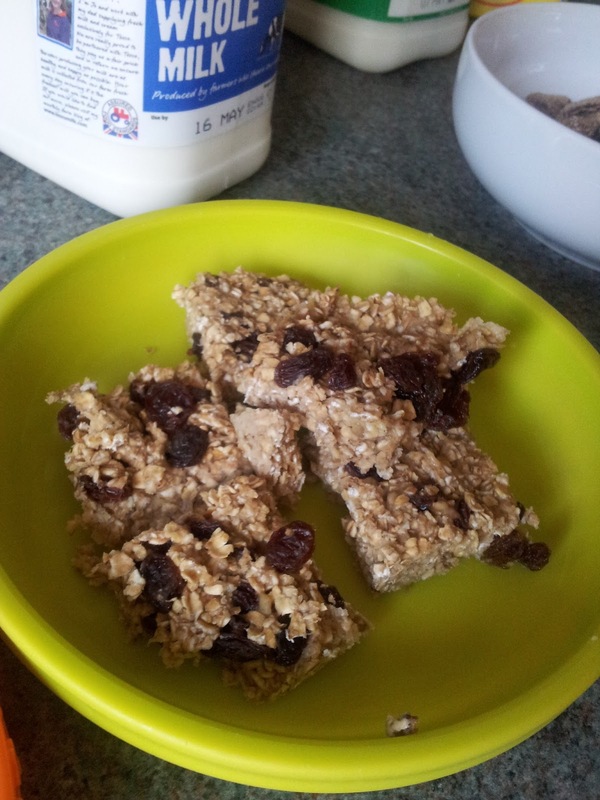 1) Place equal amounts of porridge spoonfuls to milk spoonfuls (you can use cows milk, formula or breast milk) into a flat microwave dish i.e. 7 milk spoonfuls : 7 porridge oat spoonfuls. 2) Add fruit of your choice. I always add a banana as it seems to bind the mixture better and then scatter a few raisins/cranberries/apricots (anything will work). 3) Pat down the mixture so that it is nice and flat. 4) Put it in the microwave for 2 mins. This time could vary slightly depending on the wattage of your microwave, how big your dish is and what ingredients you have used. 5) Once microwaved let the mixture stand for a couple of minutes as it tends to firm up. 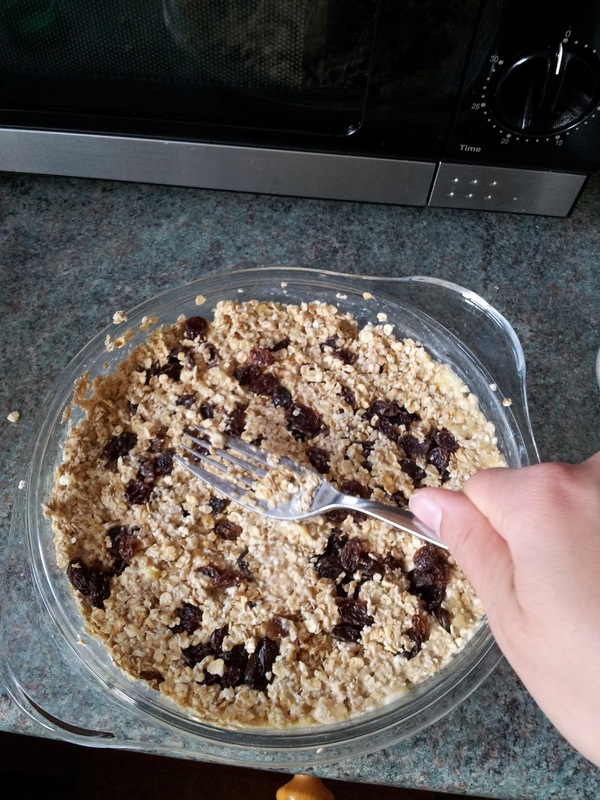 6) If the consistancy is similar to that of a flapjack after you have let the mixture stand then you are ready to serve, if it is still a bit squishy just pop it back in the microwave for another minute or so. This recipe can be a little bit trial and error, but trust me it will be a hit! 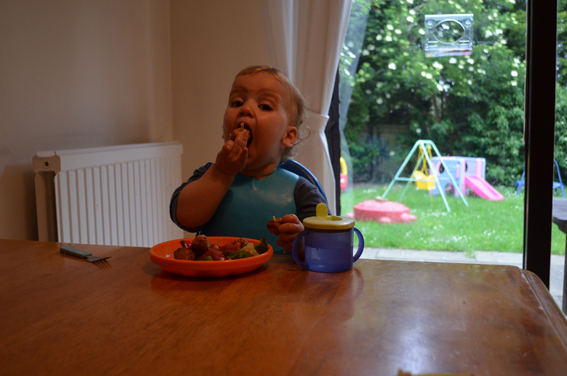 My boys still eat this now and they are nearly 17 months! 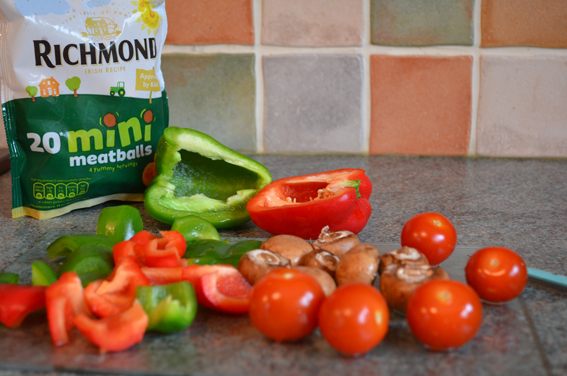 It doesn’t just have to be for breakfast, why not use it as a healthy snack option too?